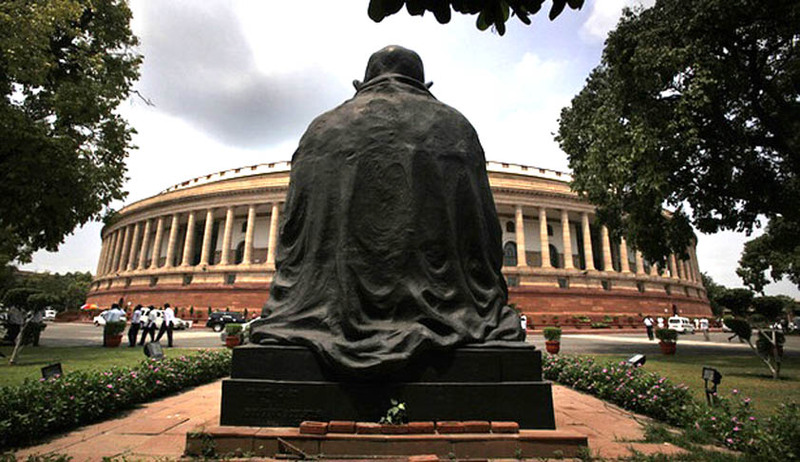 The Centre has informed the Supreme Court that 3,045 criminal cases involving 1,765 MPs and MLAs are pending in various states across the country. According to an affidavit filed by the Union Law Ministry before the bench headed by Justice Ranjan Gogoi, Uttar Pradesh (UP) tops the list followed by Tamil Nadu and Bihar. There are 539 cases pending against 248 MPs and MLAs in UP, 324 cases pending against 178 MPs and MLAs in Tamil Nadu, 306 cases pending against 144 MPs and MLAs in Bihar, and 139 legislators are facing 303 cases in West Bengal. The ministry, which has collected information from various high courts, state assemblies and also union territories for the period from 2014 to 2017, has not yet received reports from Maharashtra and Goa. The Bombay High Court, which has its branch in Goa, is yet to furnish the details. Eleven states have sent their reports to the Central government about their decision to set up special courts to try the cases involving MPs and MLAs. The states are Andhra Pradesh, Telangana, UP, Maharashtra, Kerala, Bihar, GNCT Delhi, Tamil Nadu, Madhya Pradesh, Karnataka and West Bengal. It has also filed detailed information about the proportional allocation of funds for setting up of special courts for trial of cases involving the legislators. On the last date of hearing, the government had informed the court that 12 special courts were to be set up and more than Rs 7.80 crore was allocated to the states. The government has responded to the Supreme Court’s directions in December 2017, to specify the number of cases disposed of and the number of pending cases against the MPs and MLAs. The court had directed the states in consultation with the high courts concerned to ensure that these special courts get operational by March 1, 2018. Earlier, the Centre in its affidavit had informed the court that the special courts would dispose of in one year all 1,581 criminal cases pending against politicians. A PIL was filed by advocate Ashwini Upadhyay, also Delhi BJP leader, seeking a lifelong ban on convicted politicians from contesting elections. On November 1 last year, the court had asked the government to come up with a scheme to set up special courts for trying criminal cases against legislators.